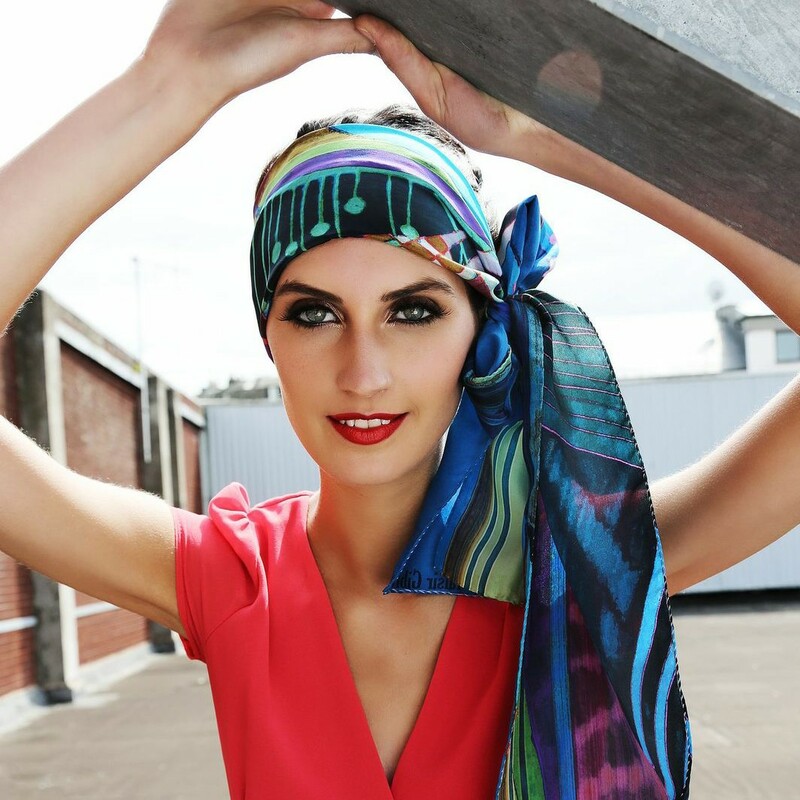 A celebration of colour, culture and diversity is the brand philosophy of Scottish-based designer Taisir Gibreel. Gibreel’s collection of silk shell tops, kaftan dresses and scarves brings that gorgeous splash of colour and pattern to Restoration Yard’s store. We are excited to invite you along to meet her at our Meet The Makers special on November 29th. The best bit is Gibreel will not only showcase her own collection – she’s a font of knowledge on every single item within the store. As our head of retail, Gibreel’s the guru behind our carefully curated fashion finds, best of beauty and off-piste gifts, so while perusing her beautiful pieces you can tap into her clever brain for some smart gift suggestions for any tricksy customers on your to-shop-for list . 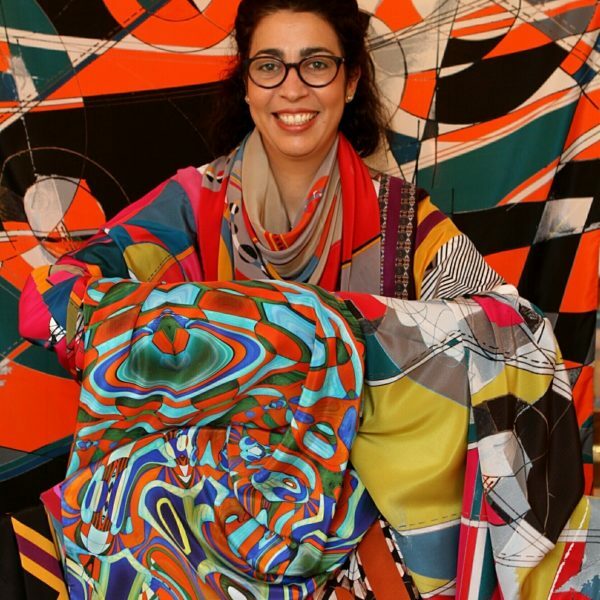 For a bit of background, it was after years of working in fashion retail in London, Amsterdam and Spain, Gibreel decided to embark on her degree in textile design at Duncan of Jordanstone College of Art and Design. She graduated specialising in print and weave and now her collections are based on original hand drawings of rural and urban Scottish landscapes. Since launching in a New York show in August 2013, each bold and beautiful piece Gibreel creates brings together her Sudanese and English heritage as well as influences of the Scottish landscape.